Prepare to enter a world full of sparkling scales, towering tentacles, super sharp shark teeth, and all our fintastic creatures. 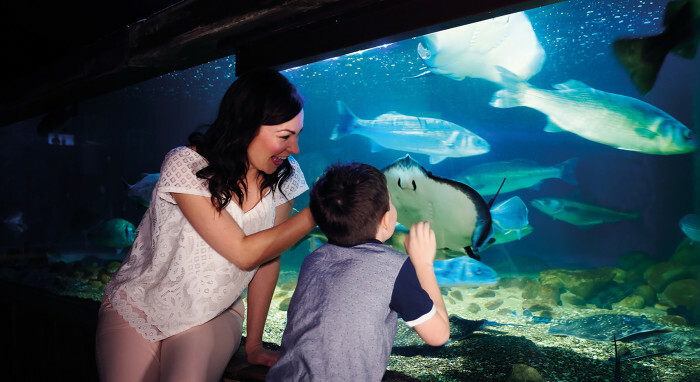 Step beneath the waves in our 180 degree Ocean Tunnel to get closer than ever before; get any closer, you’ll have to get wet! Feeling brave? Come touch one of our creepy crabs or chocolate chip sea stars in our Interactive Touchpool.